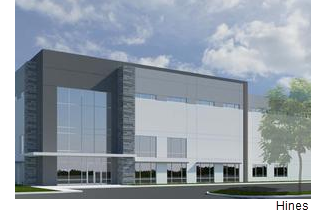 ​ KATY – A new 150-acre Class A business park, called Pintail Crossing, is coming to west Houston as part of a joint venture between Houston-based Hines and Katy Partners Ltd. The property is just east of Brookshire at the northwest corner of I-10 and Igloo Rd., between the 1 million-sf distribution center Amazon opened earlier 2018 and Igloo Products Corp.'s headquarters and distribution center. Upon completion, the master-planned park will have up to 2.2 million sf of distribution space. Hines is focusing on build-to-suit occupants with regional and local distribution needs in the Houston, San Antonio, and Austin markets. ​Se​e also: Houston-The Woodlands-Sugar Land Industrial Market Research for free data. No sign-up.